Jason from Austin, TX, at La Vecindad. 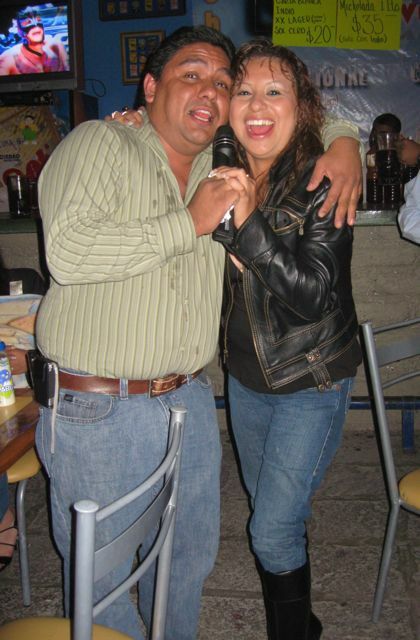 Of all the karaoke venues in San Miguel de Allende, I'm partial to La Vecindad because it's most like family. It's comfortable. It's casual. And people really listen when you get up to sing. La Vecindad features David Cruz at the turntable (okay, CD+G player) and wife Sarah and son Christian on stage beside him. The family feeling starts there. It took some time and a change of ownership to work out the kinks in the remodeled venue with its new big-screen TV and super-charged sound system, but now the glitches don't happen very often and the price of a beer is still among the lowest in town. 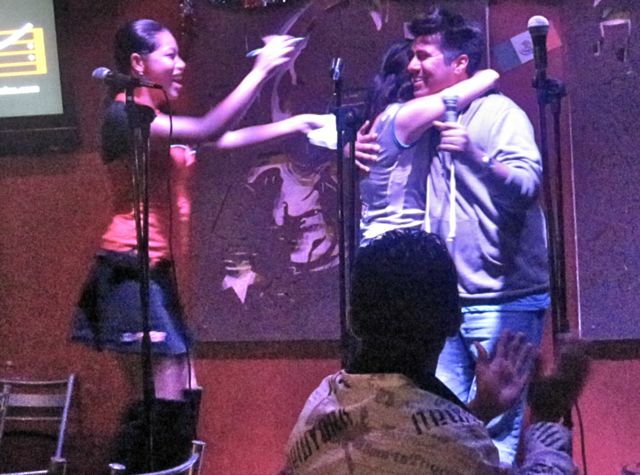 La Vecindad has karaoke shows on Friday and Saturday nights, 9:30pm-1:00am, and if you're desperate to sing on other nights, you can request the microphone for the jukebox—they've got a few karaoke tunes in there. I like to bring my own karaoke CDs (CD+Gs) because a few of my favorite songs aren't on the list. Call me if you want to go, and I can bring songs for you! La Vecindad is on the Salida a Celaya, between Longhorn Smokehouse and Mega Comercial, but on the opposite side of the road. It is next to the big car wash that is for sale. See you there!